Observations by the Kepler spacecraft suggest there are 50 billion planets within the Milky Way galaxy. Understanding planets that orbit other star systems can be enhanced by studying worlds closer to home. Planets in the solar system have a number of characteristics that can be measured, one of the more important being the albedo, or the amount of light reflected from a planet's surface. This measurement helps determine the materials that make up the planets. The albedo scale theoretically varies from 0 percent, which means no light is reflected from the planet, to 100 percent, when the planet's surface reflects all light that falls on it. The material on its surface and in its atmosphere determines a planet's albedo. 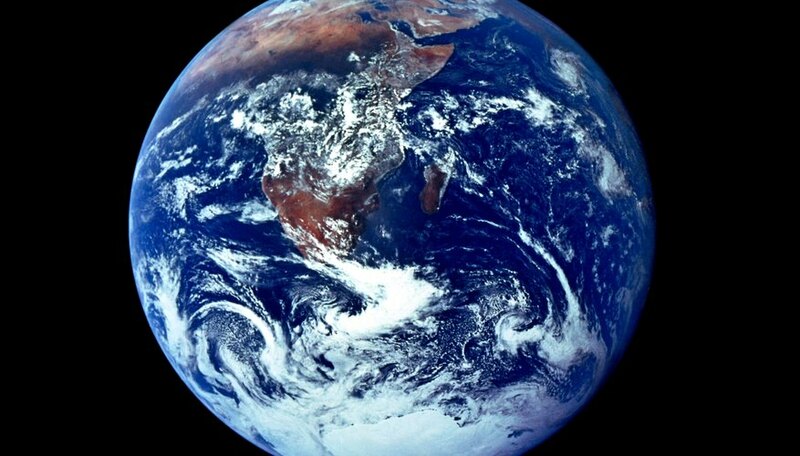 The Earth's surface consists of 71 percent ocean and 29 percent land. Liquid water absorbs most of the sunlight falling upon it and reflects very little. The albedo of water, from light high in the sky (normal incidence), is low -- approximately 10 percent. The albedo of most land areas, such as soil or sand, is also relatively low, varying between 15 percent and 45 percent. The exception is snow, which is most frequently found at the poles of the Earth. Snow reflects the majority of the light that strikes it, leading to a high albedo of approximately 90 percent. Atmospheric clouds also play an important role in the albedo of Earth. Most clouds are made from water ice and have a high albedo. The planetary albedo of Earth, which is derived from the combined effect of the individual elements, stands at approximately 30 percent. Mercury, the closest planet to the sun, is mainly composed of dark porous rock surface, which reflects very little light. Its atmosphere consists of 95 percent carbon dioxide, 2.7 percent nitrogen and other trace gases. Carbon dioxide is optically transparent and thus does not contribute to the planet's albedo. The planetary albedo of Mercury is 6 percent. The planet Venus' surface is covered by rocky mountains, volcanoes and seas of lava. The surface of Venus, however, is completely obscured by the dense atmospheric cloud that blankets the planet. The atmospheric clouds primarily consist of sulfuric acid, which reflect the vast majority of sunlight that is incident upon them. This makes Venus the planet with the highest albedo in the solar system, with a value of 75 percent. Saturn can be found at a distance of 1.4 billion kilometers (870 million miles) from the sun. The planet has no solid surface, so the albedo is completely characterized by the gases in its atmosphere, which consists of hydrogen, helium and other trace gases. These gases combine to form clouds made from water vapor, ammonia and ammonium hydrosulfide clouds. These clouds reflect a significant quantity of incident light, leading to a planetary albedo of 47 percent. The surface of Mars, the fourth planet from the sun, consists mainly of a red soil whose composition is still being investigated by the NASA Opportunity rover. The soil analyzed so far includes glass particles and common volcanic minerals. Because the atmosphere of Mars is very thin, its albedo, at 29 percent, is dominated by the relatively dark surface. 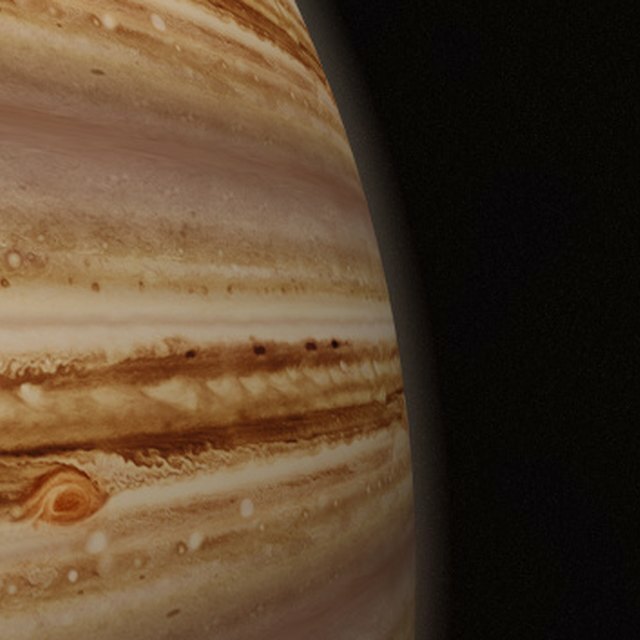 Jupiter, the largest planet in the solar system, has a similar atmospheric composition to Saturn, consisting of hydrogen and helium. Jupiter's albedo is 52 percent. Uranus, the second furthest planet from the sun, has a composition mainly of hydrogen, helium and methane, leading to an albedo of 51 percent. Neptune is the outermost planet and also consists of mainly hydrogen and helium. The albedo of Neptune is 41 percent. Markings, Samuel. "Albedo of the Planets." Sciencing, https://sciencing.com/albedo-planets-5203.html. 25 April 2017.